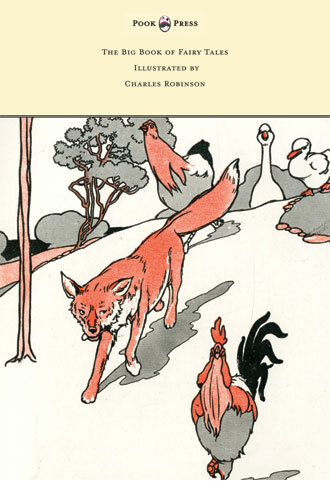 Charles Robinson was born in Islington, London, England – on 22nd October 1870. 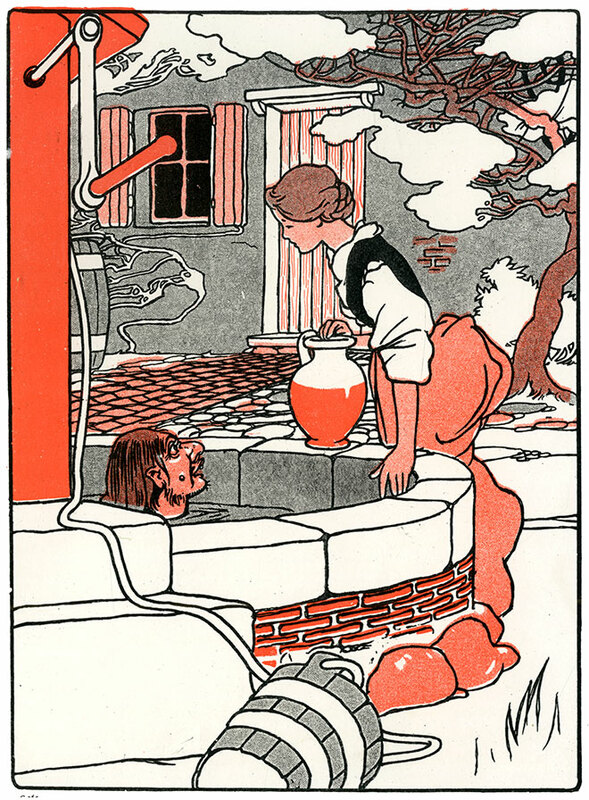 The son of an illustrator, and the brother of famous illustrators Thomas Heath Robinson and William Heath Robinson, he spent his early education at the Highbury School of art. Robinson then went on to serve a seven-year apprenticeship at Waterlow and Sons (a lithographic printers in Finsbury). He also took art lessons in the evenings. In 1892, Robinson won a place at the Royal Academy, but was unable to take it up due to lack of finances. It wasn’t until the age of twenty-five that Robinson began to sell his work professionally. He quickly developed his own unique style, based on the then contemporaneous influences of Pre-Raphaelitism and Art Nouveaux. Robinson was particularly inspired by the delicate watercolours of Aubrey Beardsley, Japanese artworks, and the woodcuts of the old masters such as Albrecht Dürer. 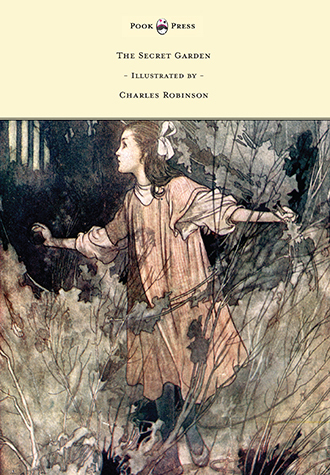 His first full book was Robert Louis Stevenson’s A Child’s Garden of Verses (1895). It was commissioned by John Lane. This collection of children’s poetry first appeared in 1885 under the title Penny Whistles, but it was Robinson’s beautiful set of 100 pen and ink drawings that really brought it to fame. The book was very well-received, going through a number of print runs. 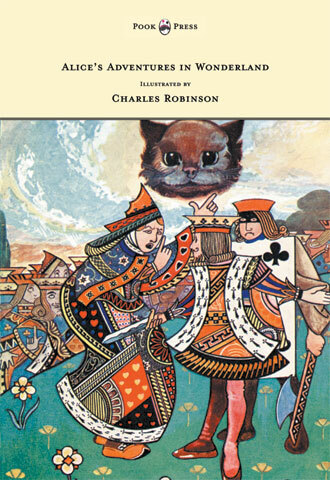 Over the rest of his life, Robinson illustrated many more fairy tales and children’s books. These included Eugene Field’s Lullaby Land (1897), W. E. Cule’s Child Voices (1899), Friedrich de la Motte Fouqué’s Sintram and His Companions (1900), Lewis Carroll’s Alice’s Adventures in Wonderland (1907), the fairy tales of the Brothers Grimm (1910), Frances Hodgson Burnett’s The Secret Garden (1911), and Oscar Wilde’s The Happy Prince (1913). 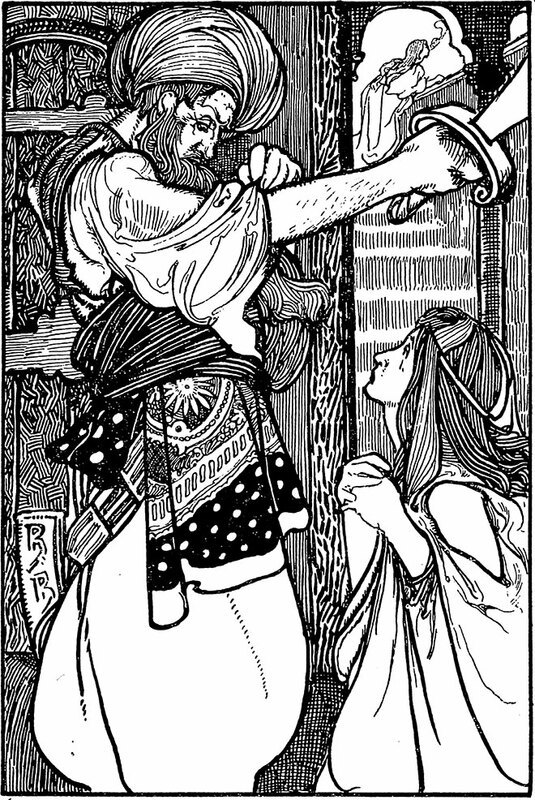 Tales of Passed Times, Charles Robinson, 1900. This personal ‘Golden Age’ of illustration, came to an abrupt end with the First World War. By this point (1914), Robinson was too old to join the regular forces (he was forty-four years old), so he enlisted with the Volunteer Training Corps. He rose to the rank of Second Lieutenant. After the conflict, Robinson returned to illustration, but mostly provided artwork for individual periodicals. Understandably, in the age of deflation and rationing, the market for luxury illustrated gift-books had taken a down-turn. Despite this, Robinson was able to earn a modest, yet comfortable living. He moved alongside his family to Botley in Buckinghamshire. Robinson was also an active painter, especially in later life. He was elected to the Royal Institute of Painters in Water Colours in 1932. He had exhibited his watercolour works at the Royal Academy for many years previous, and was also a member of the London Sketch Club. He served as the Sketch Club’s president from 1926-1927. In his personal life, Robinson had married Edith Mary Favatt in 1897 – in Middlesex, England. They enjoyed a happy marriage and together parented four daughters and two sons. 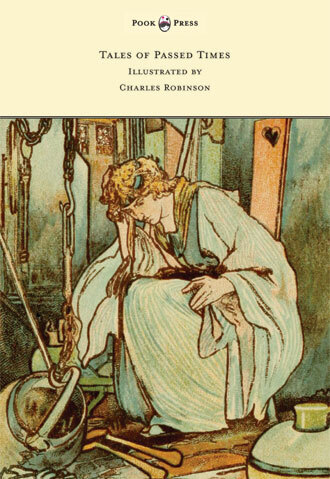 Charles Robinson died in 1937, at the age of sixty-seven. 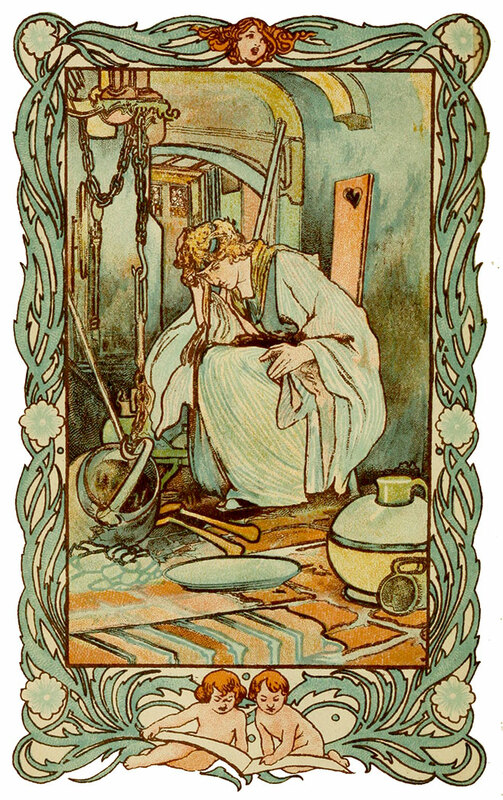 The Big Book of Fairy Tales, Charles Robinson, 1911.